modlandUSA: Oh, That Facebook Cover Art! Oh, That Facebook Cover Art! Gotta admit, I was rather frazzled when I switched to Facebook's Timeline for my personal profile. To keep things simple, I took a large photo of a sunset and slapped it up on the top of the page. So what if it didn't fit; I wriggled it around a little and it was pretty decent. But it's a different game entirely with pages. Why? Because one photo just won't cut it in order to properly represent what the page is all about. 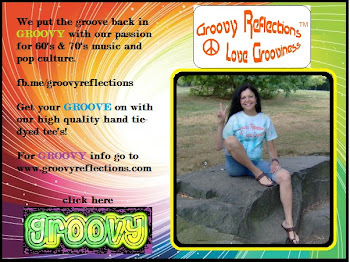 I'll use Groovy Reflections, one of my pages, as an example. 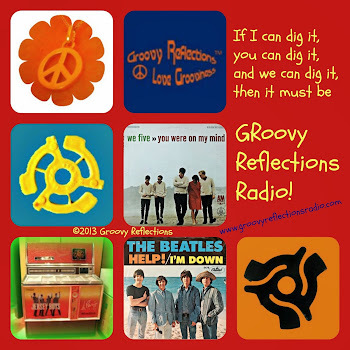 Since there are six team members, I felt it should be a group effort with one photo from each of them representing what Groovy Reflections is all about. The brand logo would also be part of it, bringing the number of photos to seven. Furthermore, I wanted to add all our names to the artwork, since we are so behind the scenes. It's an opportunity to get our names out there to the fans; not enough fans make their way over to the website, where they'd find bios for each team member. And how I struggled with getting that artwork to fit, just like I struggled with the multi-photo cover for this Facebook page. A quick search would have revealed several sources stating that the dimensions should be 850 wide by 315 in height. That's pixels we're talking about! Upon discovering the official dimensions, the task just became easier! No selling! Don't tell us about the latest deals here. It's meant to be visual so have fun with it. Should be representative of your product or service. No pleas to people to let others know about your page. Don't include anything about asking them to share or like the page. No URLs, emails or any info that leads them to another way to contact you. If you're creating your own cover art and don't use Photoshop or another graphic software, try using PowerPoint. Later versions have plenty of tools for creating visual splendor. As a rough measure, the art should be about half of the size of a slide (see pic below). If you're a veteran at putting together a slide show for all those important presentations, this is not all that difficult to do. The possibilities are endless! Be creative, remember that the size is 830 X 315, and use a rainbow of color! Enjoy this tune by the Rolling Stones: Click here. Cool post, and useful to see all the details in one spot. If you're into the Instagram app, you can get an auto-generated collage of your photos from statigr.am. I did this for my own profile and really liked the result. The link is: http://statigr.am/promote.php (requires Instagram login). Wow! great info. I'm there later today, since I'll be changing the cover art for Groovy Reflections in a couple of days. If it's that easy I will soon be freshening my cover art for ModlandUSA as well! Thanks.